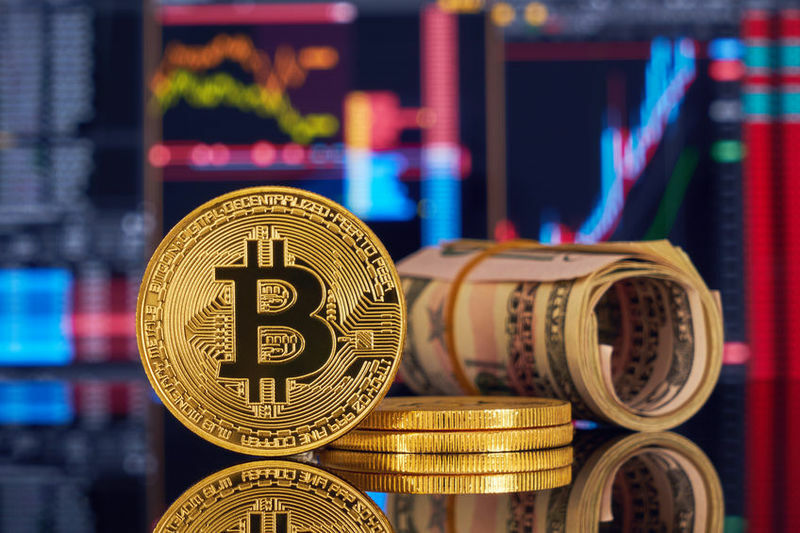 Have you heard of Bitcoin but never taken the time to learn what makes it so different from regular money or payment systems? Well, if you have an interest in the future of money and especially if you’re looking to invest in it, you should study the functions and features of Bitcoin. It’s more than worth the mental effort it takes to understand it properly. This article assumes that you’re a complete beginner and introduces general concepts without getting into technical complexities. When we discuss Bitcoin with a capital “B,” we mean the system or protocol as a whole. Whenever a small “b” is used, we’re referring to the currency unit, also known as BTC. This naming convention is fairly standard, although some exchanges (such as Kraken) use “XBT” instead of “BTC.” The reason for this is that XBT is the international standard code (ISO 4217) for Bitcoin. Satoshi Nakomoto is the pseudonym used by the individual or group who released the Bitcoin code and whitepaper in 2009. Satoshi’s real identity is unknown. There is much speculation regarding Satoshi’s real identity and several people have even claimed to be Satoshi. The most convincing evidence for Satoshi’s identity would be if they prove ownership of the earliest known Bitcoin addresses, which must have belonged to Satoshi as nobody else was using Bitcoin at the time. In accordance with the principles of supply and demand, Satoshi (assuming rising future demand) designed Bitcoin to increase in value, by diminishing its supply over time. To maintain scarcity, there will only be 21 million coins issued. So far, around 17 million BTC has been issued via miners and it’s expected that the limit will be reached in year 2140. Issuance tapers off over time, halving roughly every 4 years. In the first four years, 50 BTC were issued to a miner for every solved block (roughly every 10 minutes). The reward is halved to 25 BTC and has halved again since then to 12.5 BTC as Bitcoin is 9 years old at the time of writing. In 2020, the reward will halve to 6.25 BTC per block. Once the supply limit is met, miners will be incentivized to continue mining (which also has the effect of validating and recording transactions) by transaction fees. Such fees are set by transaction senders. Bitcoin’s blockchain works much like a multiplayer game world. If any user performs an action – such as sending or receiving coins – then the state of the blockchain is changed accordingly, for all other users. Likewise, the history of previous actions is the same for all users. Your bitcoins simply don’t exist as files contained by your wallet, no more than your actions in a multiplayer game world are isolated to your computer or console. Instead, your coins exist as an undeniable reality for everyone connected to the shared, public blockchain. Each Bitcoin wallet has a private key corresponding to a public key. A public key looks something like this: 3SCp7MYQqGB5Y9gyxyhdNPHBEP6msGQni. It contains a series of random alphanumeric character. You can think of a public key as a padlock. To spend your bitcoin, you need a corresponding key to open the lock. A private key looks something like this: 5Kb8kLf9zgWQnogidDA76MzPL6TsZZY36hWXMssSzNydYXYB9KF. Your Bitcoin wallet keeps track of all your addresses and sums up all their content to arrive at your total balance. Only the controller of the private key associated with each address is able to spend the coins linked to that address. There’s no way this private key can be guessed or derived from the address, so keeping this private key secret is the basis of security. You can share your public key with others but you should not share your private key with anyone just like how you can share your email address but not your password. There are two kinds of wallets – custodial and non-custodial wallets. Custodial wallets are those in which you trust a third party with your private keys. Non-custodial wallets are those in which you hold your private keys. When you store your coins on a custodial wallet, such as an exchange or a web wallet, the third party retains control of your private keys. You do not need to store your own private keys and instead trust security to a third party. For certain people, trusting a reputable team with your private keys may be a better option if you are not familiar with managing security. Storing your bitcoin on a non-custodial wallet requires you to take control of your own security and to store them safely. However, losing your private keys will mean losing access to your bitcoin forever. You don’t want to be like the guy who threw away his hard drive containing his bitcoin private keys and losing over 7,500 bitcoin. You may want to consider using a hardware wallet if you decide on using a non-custodial wallet. In the game world, all user actions are synced up and propagated by the game’s central server. However, you may have heard that one of Bitcoin’s major properties is decentralization. This means that Bitcoin that lacks a single, central authority to define the past and present state of the blockchain. Without anyone in charge, how is consensus maintained among Bitcoin’s millions of users? How can an accurate, decentralized record be maintained when all users are financially incentivized to lie? Until Satoshi Nakomoto solved this problem (known as the Byzantine Generals’ Problem in computer science) with the invention of Bitcoin, there was no way to maintain decentralized consensus. The way Bitcoin solves the problem is through Proof of Work mining. Whenever bitcoin is sent from one address to another, that transaction is broadcasted to all users on the Bitcoin network. Special users, known as “miners,” then gather this transaction data into a so-called “block.” Miners will only accept transactions which are valid, meaning that they conform to Bitcoin’s rules and include cryptographic proof that the owner of the private key used it to authorise the transaction. Miners then compete to “solve” the block, by running a computationally-expensive calculation known as a cryptographic hash function. Hashing transforms any amount of data in a block into a value with a set number of characters. For a solution to be considered valid, it must begin with a certain number of zeroes. As there’s no way to predict the output of a hash function before running it, and as the smallest change in the block data will produce an entirely different hash result, miners alter a single irrelevant value in their block data and hash the block until they find a valid solution. The more computing power they dedicate to this work, the more likely a miner is to find a valid block. As a reward for solving a block, miners are awarded an amount of bitcoin by the protocol plus the fees of all transaction which they include in that block. As each block solution must include the solution of the previous block, blocks become linked together into a blockchain. To sum up, miners compete with one another for bitcoin rewards, and in so doing they also verify and record user transactions. This process is not simple and may require some further study to fully grasp. We’ve discussed how Bitcoin works, but not why it’s designed this way. After all, mining sounds like a really inefficient way to order everyone’s transactions – and it is! However, it’s also the best way yet discovered to issue currency according to a clear schedule and objective set of rules which can’t be easily or stealthily changed. In other words, Bitcoin’s limited supply eliminates inflation and its decentralized nature defeats the corruption and bias associated with central control. Besides its programmable flexibility, Bitcoin is most valuable as money precisely because it removes the necessity of trusting in all-too-fallible humans.